PMR Research offers a comprehensive range of market and consumer research services. Since 1995, we have been conducting research projects in more than 20 Central and Eastern European countries and today, we regularly coordinate research projects in several countries at the same time. 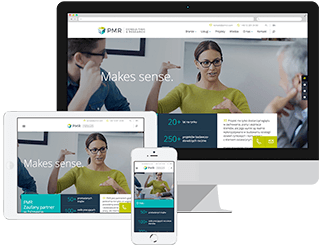 The PMR Research service offering is divided into three groups of services, covering different subjects of study - customer-focused research, measuring customer satisfaction and loyalty levels (among other things) as well as customer opinions on service quality. Second group are product-related studies, involving product concept and functionality testing, as well as analyses of price and distribution network. The third is marketing research, involving copy tests as well as image and brand research. In addition to the aforementioned offers, the PMR Research offering also includes other types of studies. We have a proven track record of delivering high-quality research on the pharmaceutical and medical markets, including research on drugs as well as drug name and packaging tests. We also conduct market and industry analyses involving, among other things, estimation of market size, identification of key players and their market shares and forecasting. Consumer behaviour research and studies of consumer satisfaction with products and services. Product tests, including segmentation studies, concept tests and price tests. Marketing research, including image and brand research, as well as copy tests. Pharmaceutical and medical market research. Research carried out in Central and Eastern European (CEE) and other countries. Market analysis, public opinion polls and employee satisfaction research.